Green and Glassie: #Sky Trail Wisconsin ~ Great Family FUN!!!! 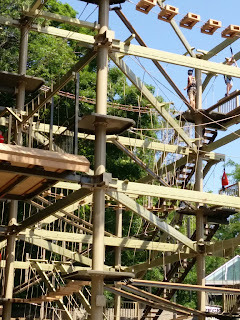 #Sky Trail Wisconsin ~ Great Family FUN!!!! 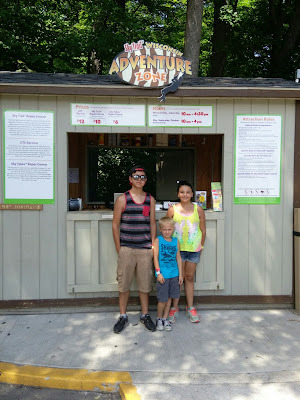 This past Thursday I spent the day at the Milwaukee Zoo with my grandchildren and daughter. We had a blast. 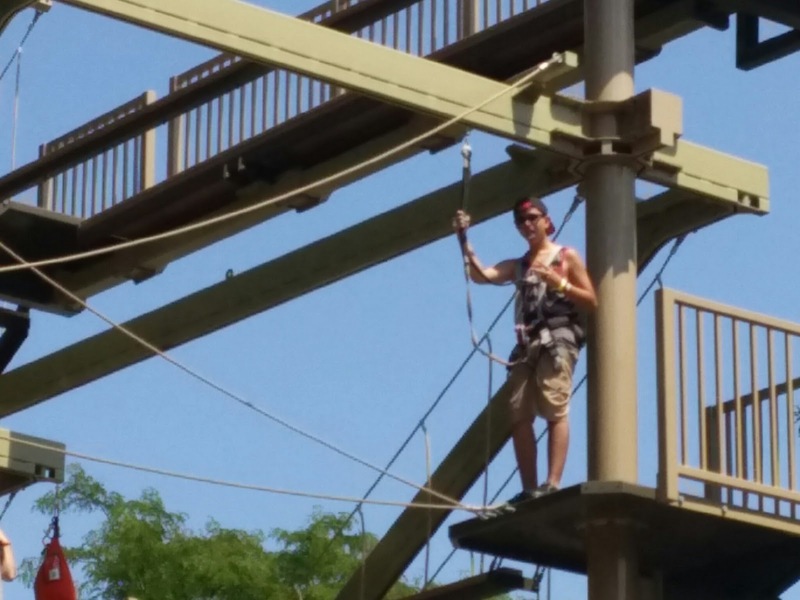 The first thing on our agenda was Sky Trail Wisconsin. 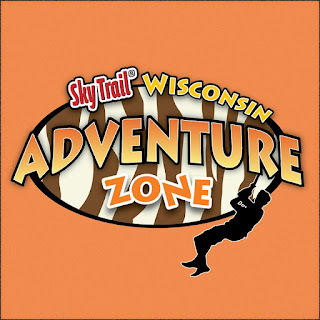 Sky Trail Wisconsin is located just south of the penguins - right when you enter the zoo. You can not miss it! 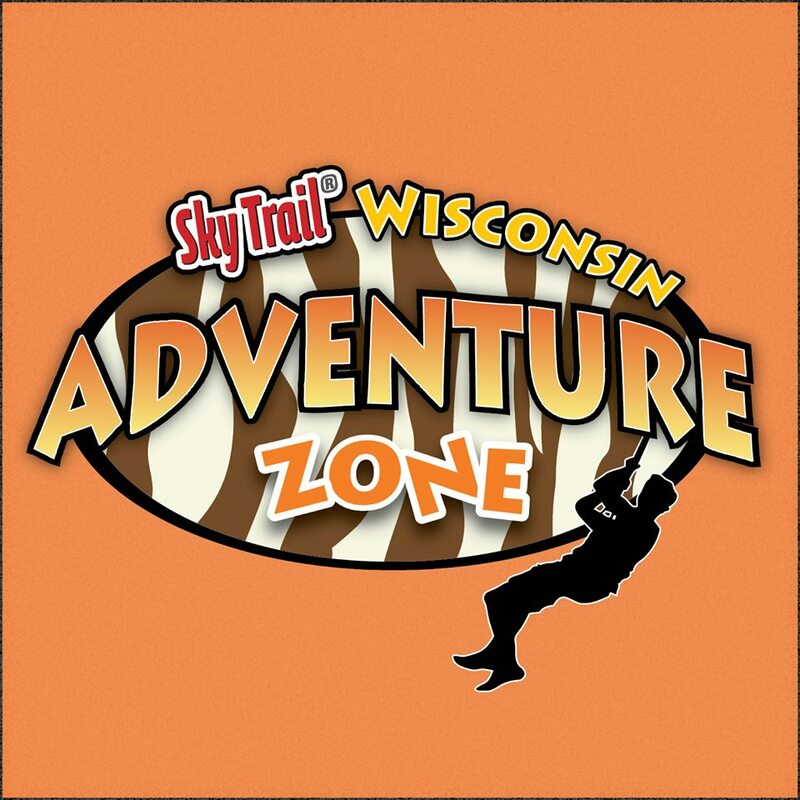 Sky Trail Wisconsin is a two level adventure rope course and a CTS Zip Line. 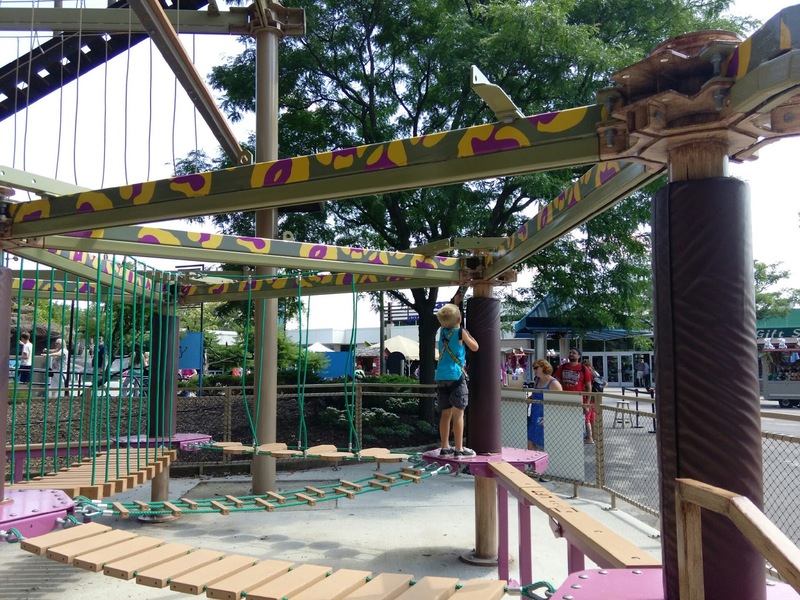 What is so nice is that they also have a adventure rope course specifically for kids under 48" tall. Sky Trail was perfect for our bunch! 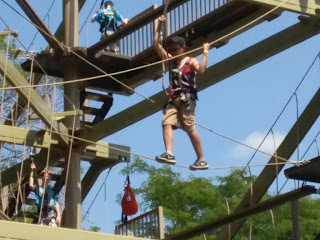 Caleb (14 years old) headed to the adventure ropes to beat Isa (11 years old) to the top. 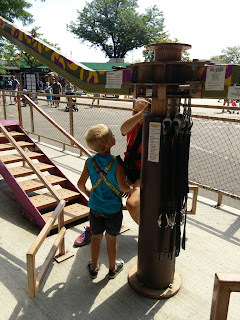 Isa decided to not race Caleb and could hardly wait to Zip Line across the zoo. She had a blast. I am positive there will be more Zip Lining in her future. 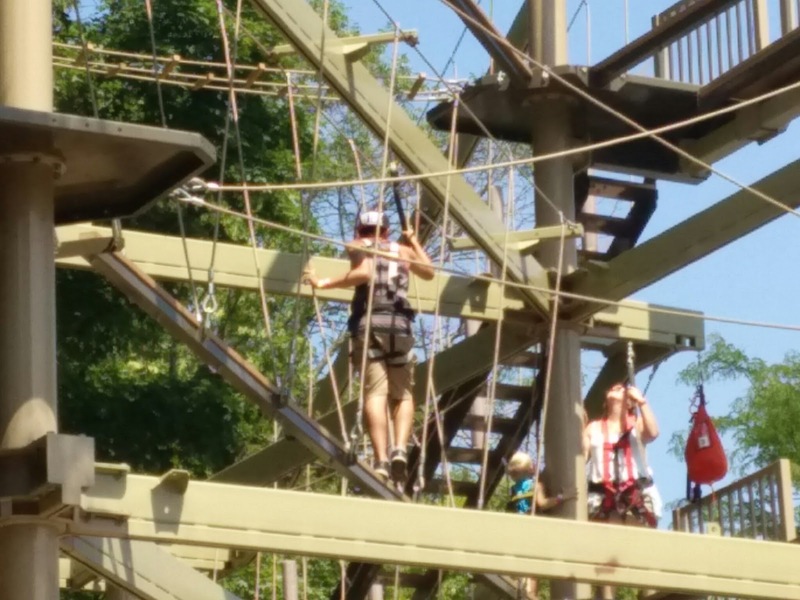 Davey (6 years old) started on the smaller rope course - being jealous of his sister and brother he wanted to go on the big adventure course. Davey was tall enough that he could go with a adult...so Dawn suited up and off they went. I was very impressed with the safety precautions. The staff were very friendly and made sure all children were aware of the rules and had their safety gear on correctly. The staff taking their time ensuring the kids were safe was very important to us. 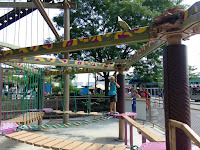 The kids had a blast at Sky Trail Wisconsin. When they were finished we started our adventure at the zoo. We had so much fun...a perfect day! I have to admit that by the end of the day my feet were exhausted. I think the kid's feet were also feeling the joys of a great day! 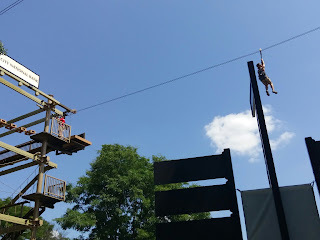 They say pictures are worth a 1000 words...here goes...check out the kids and the fun they had at Sky Trail Wisconsin! Sky Trail Wisconsin is definitely a fun activity while visiting the zoo. Sky Trail Wisconsin was able to keep the attention of three very different children at very different ages...14 ~ 11 ~ 6. Each of them had a fantastic time climbing and zipping. 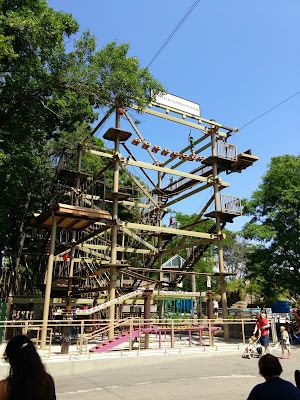 I highly recommend Sky Trail Wisconsin as a great way to spend some Family Fun Time this summer! Test your climbing and zipping skills .. then venture to check out the Milwaukee Zoo! My family would love to go to a place like this. This is a great way to get out of the house and be active while still having a ton of fun. Wow! Your photos really show how much fun can be had by all. I really like that safety is a priority here. It looks incredibly fun, but it's also nice to know that there is attention to safety too. What a fun excursion! I would love to go to something like this if I wasn't terrified of heights! This sounds really fun. It does look a little scary so I'm glad to hear about the safety precautions. I'm going to need a few years for my boys to get bigger, but I have no doubts they'd be all over this! Oh that does look like fun. My kids would have loved going here! Sky Trail looks like a fantastic time. I'd love to take the kids. That looks like a lot of fun. 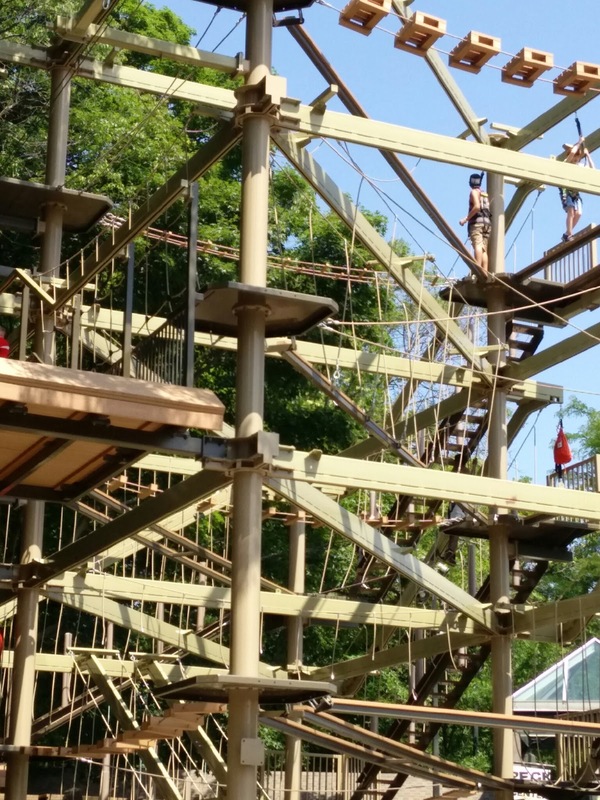 I would love to do that ropes course. Amazing fun I bet! I'd have to bribe my girl to leave..
Wow this looks like so much fun. I would love to take a family vacation to Sky Trail. That is spectacular. 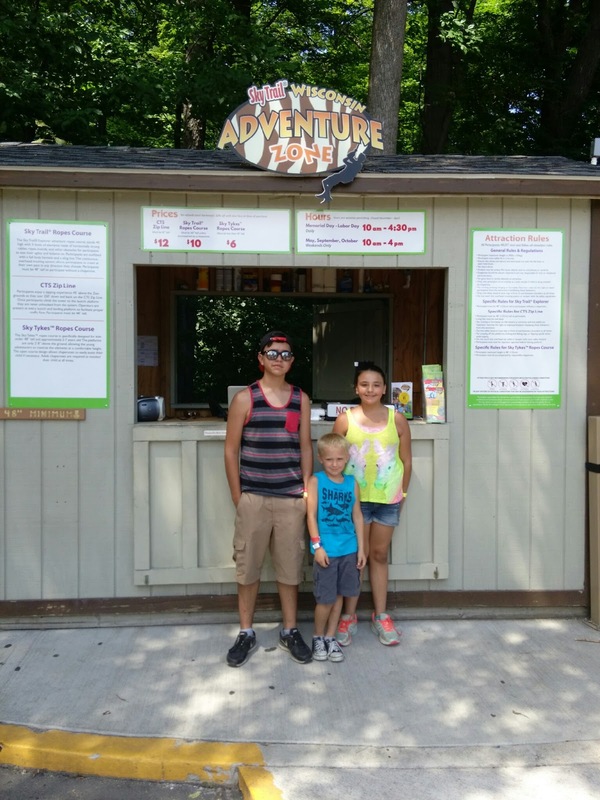 Great adventure for the kids. So much fun. This looks like the coolest place! My kids would have been so pumped to test their balance and coordination. Our kids would love this. 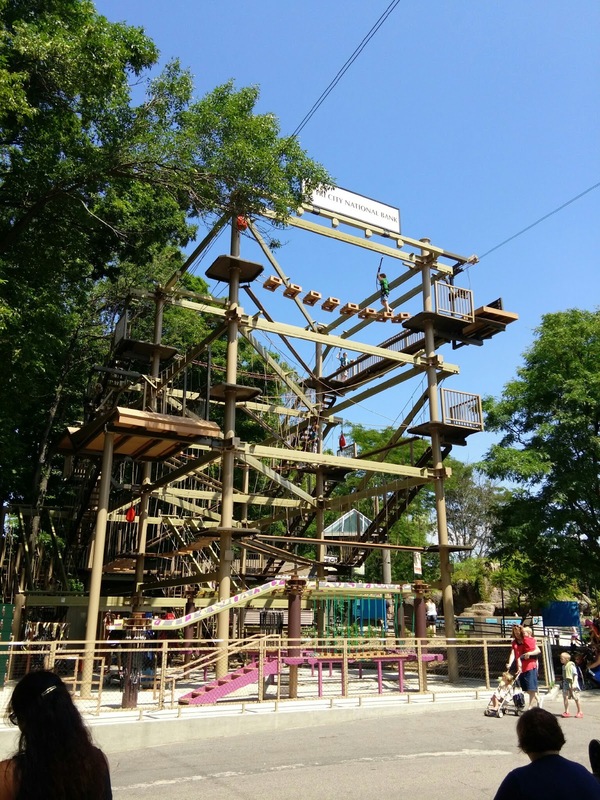 I was just looking at a local place like this with ropes course and zip line. We are going to have to pay a visit! This looks like a great place to have some family fun. I know my kids would enjoy both the course and the zip line since they have more guts than I do. This looks like so much fun. My daughter would probably love something like this. This looks like so much fun for the whole family! Would love to visit! Looks so fun. I have never been to Wisconsin. Would love to visit. This looks like a really fun place to visit! My family would enjoy it! I've always wanted to take my son ziplining. This looks like a fun adventure! The kids look like they are having a blast at Sky Trail. 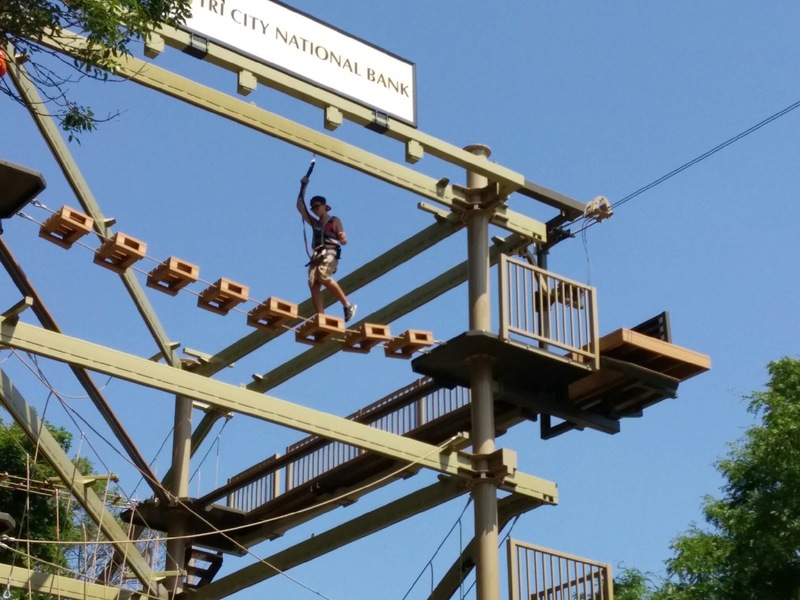 Ziplining and a nearby zoo are two great ways to spend the day for any age. 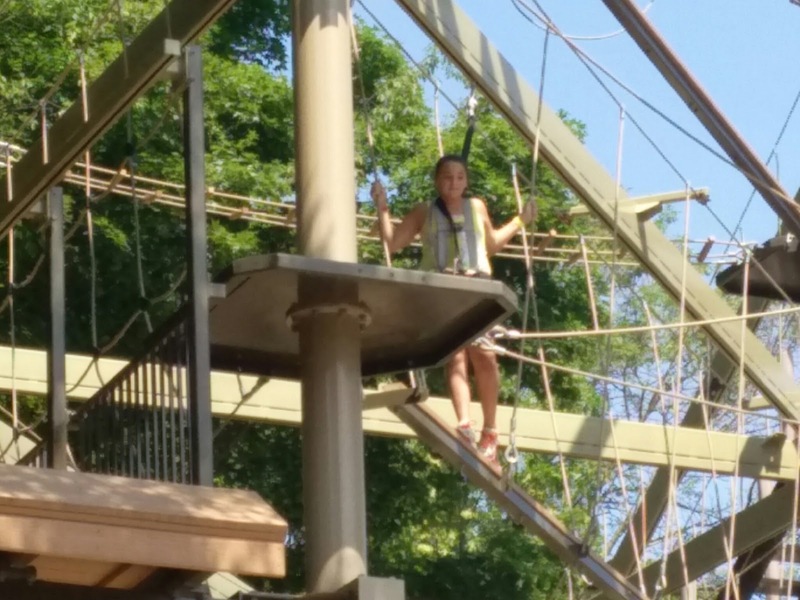 We did a small bou of ziplining a few months ago, and my girls loved it. I am sure they would just adore going to this place to have even more fun! That looks like so much fun! I would love to try zip lining. They just built one of these types of adventure centers in the town right down the road. I hope to get there before they close it for the season. I think it will be a lot of fun. Oh my goodness! That looks like so much fun. I love that there are options for multiple ages/heights. Zipling always look so fun! I am scared but it is going on my bucketlist! My kids would love to go to a place like this. It is a fantastic way to spend the day being active. I will have to see if we have something like this here. This looks so fun! 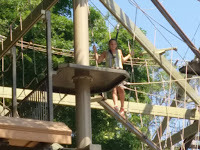 I wish I could get my daughter on one of these (she's scared of heights!). Visit http://www.ropescoursesinc.com/map/ to see where there is a Sky Trail ropes course nearest you! Oh, this looks like a lot of fun! I'll have to check to see if there's one by me! This really does look like a lot of fun. My oldest son is into things like this and would have a blast. I have to see if one of these are close by. I know my boys and my nephews would enjoy this. I think the whole family would have fun. This sounds like a super fun place for kids of all ages and adults. Love it!